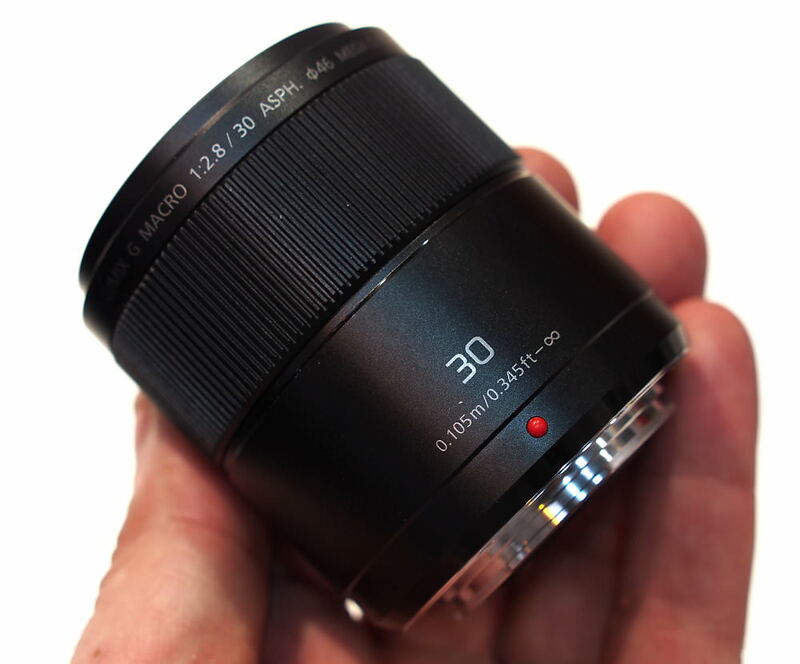 David Thorpe reviews the Panasonic 30mm f/2.8 Macro lens. Find out what David thinks of the 1:1 macro from Panasonic. The Panasonic Macro 30mm f/2.8 ASPH is a 1:1 macro lens built for Micro Four Thirds (MFT) system cameras and it received high praise for its 'excellent sharpness' from Gary Wolstenholme in ePHOTOzine's review, achieving an 'Editor's Choice' award as a result. Recently, reviewer and photographer David Thorpe also got his hands on this MFT lens and he also praised the level of sharpness this lens gives MFT camera users. In his video review, David says the lens is a true macro lens, with 1:1 reproduction, with fast focus, excellent sharpness, and low distortion. The lens has a smooth focusing ring, with critically impressive sharpness, and no purple fringing problems. David recommends using pinpoint focus on Panasonic cameras to ensure correct focus for macro photography. The lens also has built-in image stabilisation (IS) and when it is used with Panasonic cameras that also have it built-in, such as the GX8, they coordinate to enhance the efficiency. David also explains the other macro options available for Micro Four Thirds shooting. You can see what else David has to say about the Panasonic Macro 30mm f/2.8 ASPH in the above video and don't forget to check out our review of the MFT lens, too. You can also subscribe to David Thorpe's Youtube Channel, plus why not take a look at David's other reviews featured on ePHOTOzine? They include reviews of the Panasonic Lumix 42.5mm f/1.7 lens, Olympus OM-D E-M5 Mark II, Metabones Speed Booster and Olympus M.Zuiko 1.4x Teleconverter MC-14.